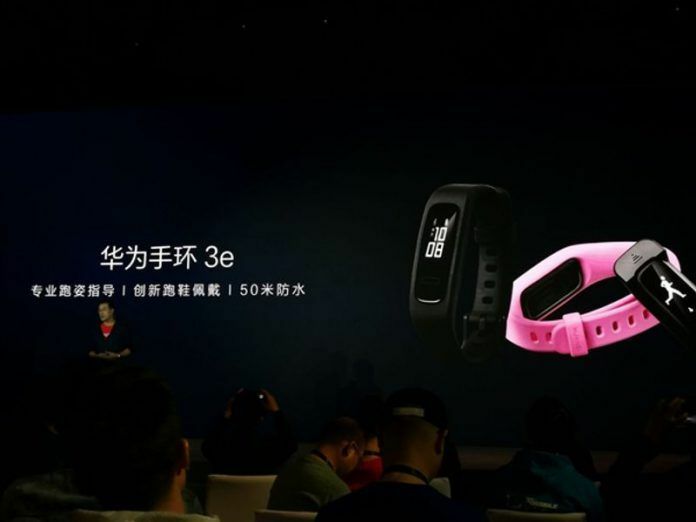 The Huawei 3e fitness band has just been launched in China. The wearable is waterproof up to 5ATM. The fitness tracker can be worn on the wrist as well as on the shoes. The Huawei 3e band is expected to hit the shelves at a price tag of CNY 210. Huawei isn’t a brand only popularly known for its smartphones. The company has even become well-known for fitness bands. Huawei has just launched its newest fitness tracker in China called the Huawei 3e Band. 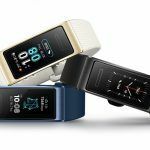 This is a part of its new generation of wearables, offering some of the best features one would expect on a fitness band. While the exact price of it in China still remains a mystery, we do have a rough idea of how much it would cost. The Huawei 3e Band was launched over a week back in the US at $29.99, Going by this, it could go on sale in China for CNY 210. The main functioning unit of the Huawei 3e is a tiny rectangular unit that can be detached from its band easily. 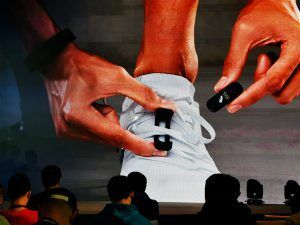 It can even be placed in the clip which can be attached to one’s running shoes. This two-mode application has been implemented to provide accurate results. It features a tiny 0.5-inch PMOLED display. The Huawei Band 3e tracker monitors seven running postures. 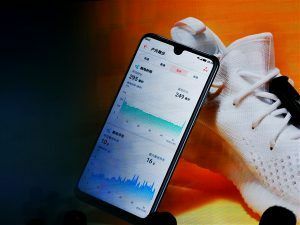 There is “Professional Running Coach” feature, which according to Huawei can help you become a better runner. There’s even a metric called “eversion excursion”. In laymen’s terms, this tells you whether you wobble too much when you run. Owing to its form factor and ability to rest on your shoe, the tracker results in better and truer readings. This helps improve one’s running posture, movements and even running efficiency. It also helps reduce the possibility of a serious injury. 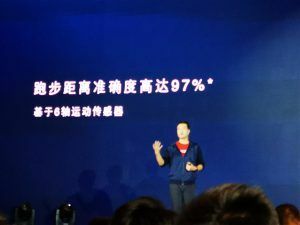 To ensure precision in result collection, Huawei has worked closely with CISS to develop a “high-precision attitude fusion algorithm with a running distance accuracy of 97%”. One of the USPs of this tracker is the fact that it is waterproof up to 50m. Performing daily tasks like washing one’s hands, having a shower or even taking a dip in the pool can be done without the fear of ruining the Huawei fitness tracker. The Huawei 3e can also be used for swimming as it is waterproof up to 5ATM. In terms of battery life, one wouldn’t really have to worry. In fact, unlike smartphones, fitness bands consume a minuscule amount of power. The Huawei 3e band provides 14 days of use on a single full charge, with up to 21 days of standby time. 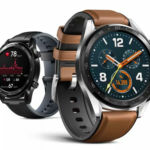 Huawei recommends downloading the Huawei Health app to keep a close watch on your stats! Will The Huawei 3e Come To India? If history repeats itself, there’s a good chance that we could be just a short while away from the launch of the Huawei 3e band in India. Both the Huawei 3 Pro and Huawei 2 Pro made their way to the Indian market and there’s almost no doubt that the Huawei 3e will as well. However, this assumption is purely based on speculation as there has been no official announcement to confirm the same. If the Huawei 3e is launched in the Indian market, it will be priced at around INR 2,200. Is the Huawei 3e Worth Purchasing? The fact that the device does so much with such precision at an affordable price makes it a worthy purchase. However, the band faces tough competition from other competitors like Xiaomi and Lenovo. 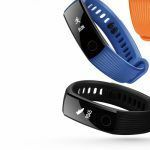 The Xiaomi Mi Band 3, as well as the Lenovo HX03 Cardio Smart Band, fall within the same price category as that of the Huawei 3e fitness band. Huawei Band 3e With Model Number AW70 Passes Through NCC Certification; Launch Imminent?